Welcome to the donations page for the Cork Elementary Vegetable Garden, installation planned for January 2019. Featured photo: March 2019: USF student Richa Bisht helps students at Cork Elementary plant radish seeds in their new garden. If you have the ability to help in any way, please send an email to Elizabeth ttfarm2school@gmail.com or Tim at timothy.godshall@sdhc.k12.fl.us. 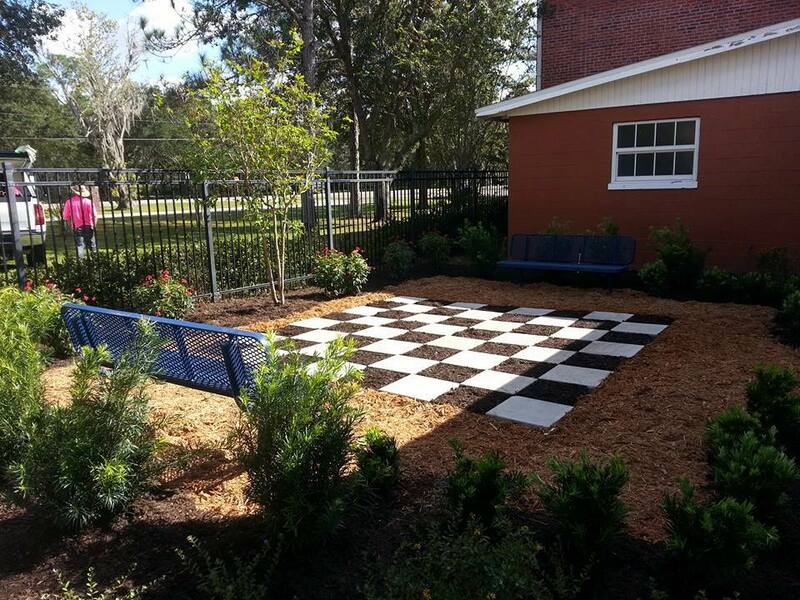 the chessboard in the Cork elementary Reading Garden. 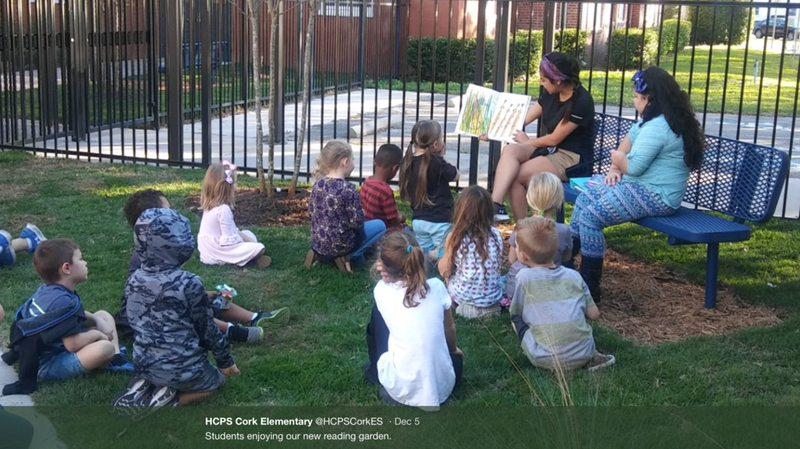 Students enjoying the reading garden at Cork elementary installed November, 2017.